Tenley Dyck is a prominent piano and pedagogy teacher in southwestern Manitoba. Her students have earned numerous scholarships and awards at local and provincial levels, as well as Silver Medals for obtaining the highest standing in CNCM and Royal Conservatory piano examinations. She is active as a piano examiner, adjudicator, accompanist and workshop clinician. ​Tenley holds a Licentiate in Piano Pedagogy with Canadian National Conservatory of Music and a Piano Teachers’ Associate diploma with Royal Conservatory of Music. Presently, Tenley is a member of the Examining Board for Canadian National Conservatory of Music, as well as the Academic Development committee. 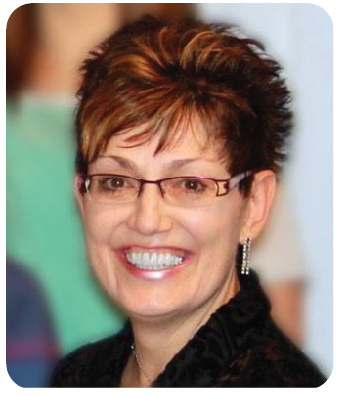 She is the provincial representative for CNCM in Manitoba, and is a member of the Manitoba Registered Music Teachers' Association. She serves on Festival committees at local and provincial levels. As Project Manager and Editor of CNCM’s publications, the Northern Lights – An Exploration of Canadian Piano Music and Making Tracks – An Expedition in Canadian Piano Music series, Tenley works with composers from across Canada for the promotion of educational Canadian piano music.